Bell played wonderfully all evening. His main virtue, an elegant style full of long, singing phrases, never becomes tiresome or out of fashion. He's simply one of the best there is. 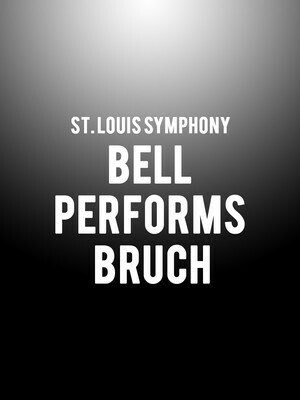 Why See St. Louis Symphony - Bell Performs Bruch? 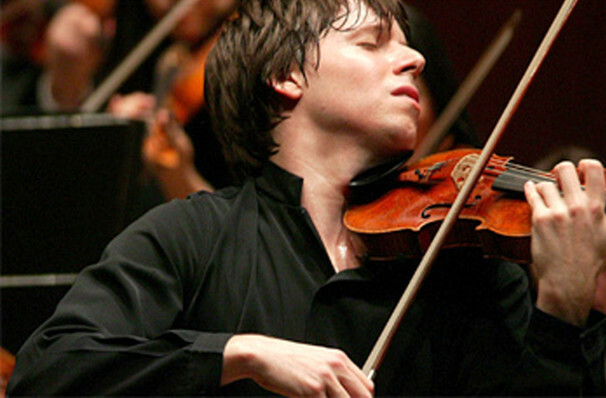 One of the most celebrated violinists of the modern era, Joshua Bell showed prodigious talent from a young age, marking the start of his stellar ascent to classical heights as the youngest ever soloist to play with the Philadelphia Orchestra and a rapturous Carnegie Hall debut in 1985. The respected performer lends his bow to a rousing program of Elgar, Bruch and Ralph Vaughan Williams with the St. Louis Symphony and special guest conductor Michael Francis, a British Maestro renowned for his tenure as chief conductor to the Norrkoping Symphony Orchestra. Bell will take to the stage during Bruch's soaring Violin Concerto No. 1, one of the most popular concertos in the entire western repertoire, as well as one of Bruch's most popular works. This is thanks to the piece's resplendent showcasing of the instrument with dazzling virtuosic flights and a soul-stirring finale that pushes its strings to new heights. Romantic, melodic and soulful, this is the stuff of classical music legend - a perfect match for a player of Bell's calibre. Sound good to you? Share this page on social media and let your friends know about St. Louis Symphony - Bell Performs Bruch at Powell Symphony Hall. Please note: The term Powell Symphony Hall and/or St. Louis Symphony - Bell Performs Bruch as well as all associated graphics, logos, and/or other trademarks, tradenames or copyrights are the property of the Powell Symphony Hall and/or St. Louis Symphony - Bell Performs Bruch and are used herein for factual descriptive purposes only. We are in no way associated with or authorized by the Powell Symphony Hall and/or St. Louis Symphony - Bell Performs Bruch and neither that entity nor any of its affiliates have licensed or endorsed us to sell tickets, goods and or services in conjunction with their events.